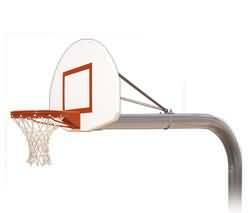 Our permanent fixed height basketball goals are designed to take on the real world abuse or parks and playgrounds. Thats why you'll see more of these systems throughout the country than any other! Approx. Shipping Weight: 399 lbs.